I think it's safe to say that Meryl Streep is the best. Not just on-screen, even though she's such an incredible actress that she could make a tax return sound engaging. Meryl Streep is funding a screenwriting lab for women over 40 years old, but this isn't the only celeb-created initiative for filmmakers on the rise. Other stars like Robert Redford, Will Smith, Ben Affleck, and more have put some of their energy — and money — into nurturing neophyte writers and directors on the rise with various programs. 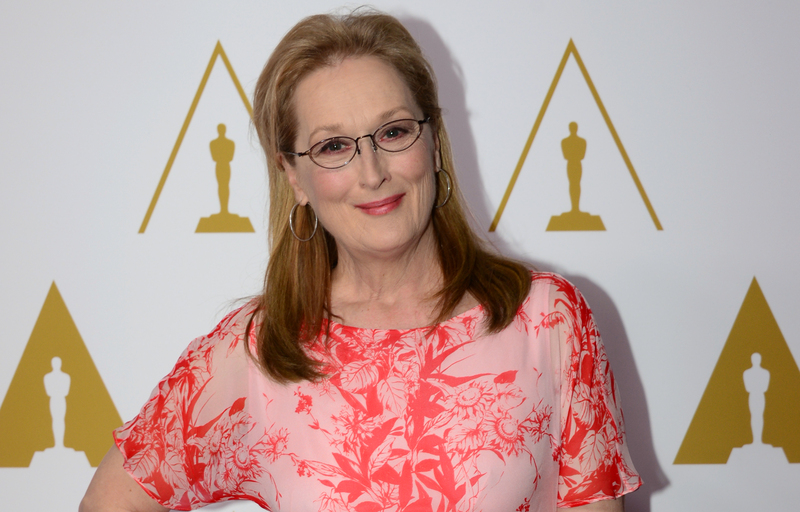 Streep's program, called the Writers Lab — which will be run by New York Women in Film and Television and IRIS, a collective of women filmmakers — will choose eight budding screenwriters from submissions accepted from May 1st until June 1st. The winners will be announced in August and attend a retreat in upstate New York, according to Variety. This program is definitely a significant opportunity for screenwriting women over 40, especially with the recent criticisms that Hollywood has faced due to its lack of diversity in all areas. I think it's great that Streep is doing her part to not only develop new talent, but increase diversity as well. But she isn't the only celeb who has started programs to try to help launch new Hollywood careers. Here are three stars who have done their part, too. The actor founded the Sundance Film Festival in 1985 and the annual Hollywood sojourn to Park City, Utah, originally started out very small, Redford told Democracy Now. "It was a big idea with a small start, because there was no support," he said. "The first year, there was maybe 150 people that showed up. We had one theater, maybe 10 documentaries and 20 films, and now it’s grown to the point where it’s kind of like a wild horse." Today, Sundance boasts more than 50,000 attendees a year, along with many screenwriting and directing labs that foster new and developing film and TV talent. "It started as just a hope," Redford said. "Then, when it became a reality, it started to have its own momentum." Fresh off their success and Oscar win for writing Good Will Hunting, Damon and Affleck launched Project Greenlight, which was both a program and a TV show on HBO (and later, Bravo). The series follows a search for a newbie director and chronicles the behind-the-scenes joys and struggles of getting from script to the big screen. The show ran for two seasons on HBO, one season on Bravo, and returned to HBO for its fourth season. "Project Greenlight was ahead of its time," Affleck said in a statement last year. "Now that technology has caught up to the concept, we thought it was a perfect time to bring it back. A whole new generation of filmmakers has grown up sharing everything, and the next big director could be just an upload away. It is really great having Project Greenlight back at HBO." In 2013, Smith's Overbrook Entertainment launched the "Search for America's Newest Scriptwriter Contest" in conjunction with the ANA Alliance for Family Entertainment. The competition accepted both half-hour comedy and one-hour drama submissions from amateur writers. No word if the contest will ever be revived in the future.